Tom is a graduate of the Columbus College of Art and Design. He came to Creative Spot as a freelancer. Today, he’s our Director of Interactive services. Thought of as a Renaissance Man, Tom continues to surprise us with his encyclopedia of randomness. He’s easy going, uncomplicated and simple—yet pure talent when it comes to websites and design. 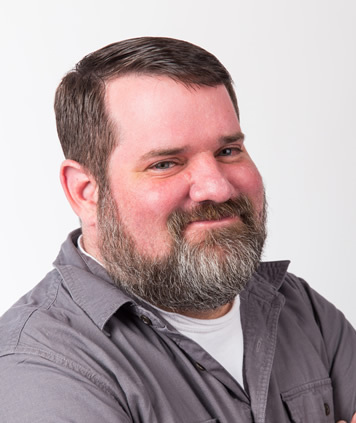 For the last 18 years, Tom has helped establish brands and develop web strategies for many clients, large and small. He has a passion to do award-wining work that also helps businesses reach their goals. Tom is always on the edge of technology. He provides our clients with the latest digital trends and is an experienced WordPress developer. His Creative Spot: Anywhere with paper and a pen—a constant doodler. Conversation Starter: Ask him any not-so-practical query.